The computer doesn't boot and the "DRAM_LED" LED on the motherboard will light up in red. In some cases, the message "Overclocking failed" may appear on the screen. A compatibility problem with RAM sticks used. A temporary solution (but that doesn't work every time) is to restart the computer when the message "Overclocking failed" is displayed. Sometimes the computer will be able to restart once properly but the problem will occur again in the next few reboots. 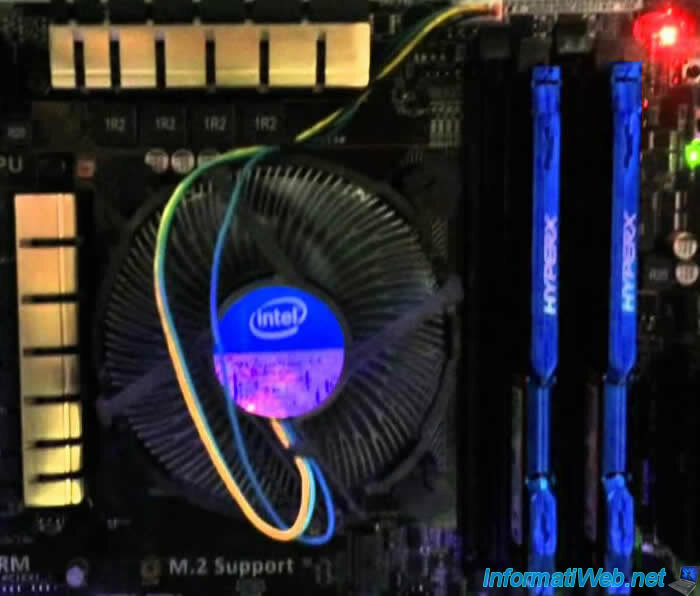 flash the BIOS of your motherboard using compatible RAM sticks. This update can sometimes solve this compatibility problem. However, the BIOS flash is a risky operation. Ask a computer store to avoid making your motherboard permanently inoperable. When the "DRAM LED" LED lights in red on the motherboard, locate the button "MemOK" next to this red LED on the motherboard and press it for 3 seconds. Then, the red LED flashes and the computer will reboot itself. Upon reboot, the message "Memory OK! Succeeds in system booting! ..." Appears. Apparently, when you press the button MemOK, motherboard trying to adapt the BIOS settings to make your RAM sticks compatible. 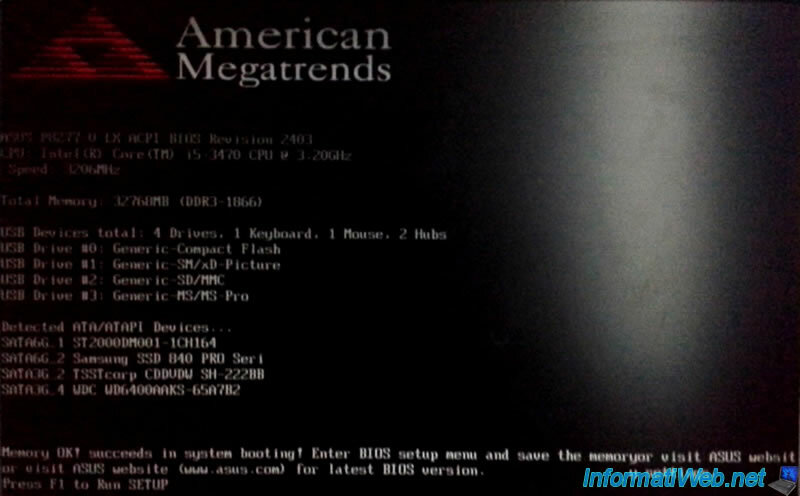 To save the modification that was performed automatically, enters into the BIOS by pressing F1 and exit with saving changes (as indicated at the bottom of the screen). If that does not work, you can flash your motherboard with RAM stick compatible. If you don't have a compatible RAM stick, go to a computer store and ask for a BIOS flash.